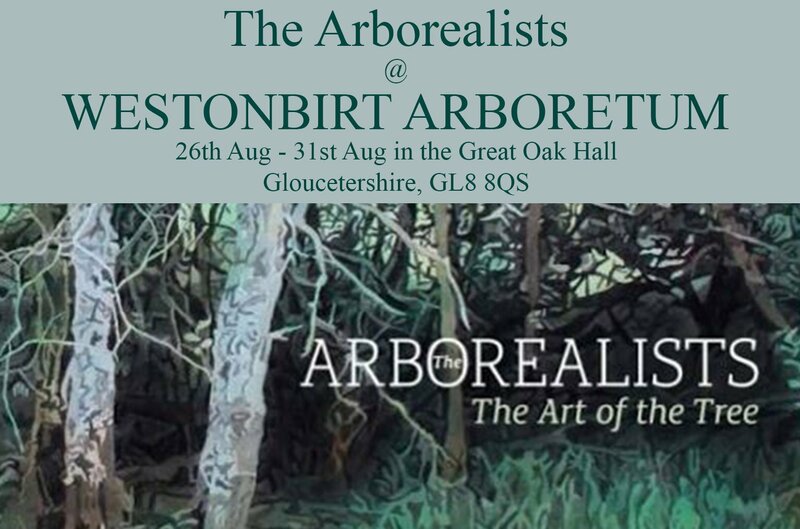 The Westonbirt Treefest exhibition will showcase the work of about 12 Arborealists and their new fully illustrated publication will also be on sale. The Arborealists are a 40 strong group of artists of diverse art practice who share the subject of the tree. From 2013 these artists have joined together for exhibitions in galleries across the south of England to national acclaim, including The Royal West of England Academy, Bristol, and St Barbe Museum and Art Gallery, Lymington. Their artworks are at turns dramatic and contemplative, demonstrating that trees still have relevance in contemporary art and retain the power to move us all as a vital element in our landscape and sense of national identity. Trees provide a wonderfully versatile subject for artists, not only in terms of the variety of form, character and colour they provide, whether individually or collectively, but also for their wealth of association, myth, folklore, religious, symbolic and ecological significance, which they have come to embody. In Britain trees have inspired artists from Gainsborough and Constable through to Paul Nash, the Neo-Romantics, the Ruralists and David Hockney.